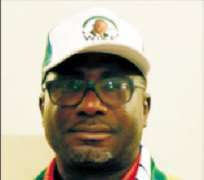 The Rivers State Chapter of the Peoples Democratic Party has accused the faction of the All Progressives Congress led by Mr. Ojukaye Flagg –Amachree of violently disrupting the bye-election into Port Harcourt State Constituency 3 scheduled today by the Independent National Electoral Commission (INEC). The Party condemned the activities of the APC faction which used armed bandit to cart away electoral materials including result sheets. The violent activities were massively and openly aided by the Special Anti-Robbery Squad (SARS) of the Nigerian Police in Rivers State. The Party however commended the INEC for the suspension of the entire exercise following the large scale violence visited on the constituency by these hoodlums and anti-democratic forces with their collaborators in SARS and other security outfits. The PDP also commendedits members from the Port- Harcourt State Constituency 3 for their maturity, restraintand peaceful conduct which would have resulted in threat to public peace. The party warned that it shall no longer tolerate again such wanton disruption of a democratic exercise and that the restraint by its members and supporters should not be misconstrued as an act of cowardice or sign of weakness, as no person or group has monopoly of violence. The PDP has sufficient capacity to contain such lawless act and would use all legally availablemeans to protect its members and the electorate from wanton molestation and naked exhibition of electoral violence. The party warned the APC faction led by Mr.Ojukaye Flagg-Amachree that elections can never be won by guns, bullets and physical brutality. Rather, the people must be allowed to exercise their freedom of choice as to who represents them through the ballot box. The PDP called on all security agencies to maintain absolute neutrality in their participation in future elections in order to save democracy. The party stated that there is sufficient evidence of the ignoble roles played by these enemies of democracy and their collaborators. It expressed fear and palpable concern that the mayhem of the APC faction in the State is a pointer to the evil agenda for the 2019 elections in Nigeria which APC knows it cannot freely win. Resort to violence does not guarantee electoral victory. It urged security agencies to thoroughly investigate the matter and punish the perpetrators to act as deterrent.